Long regarded as a haven for electric blues, power pop, and even metal, Chicago served as surprisingly fertile soil for the speedy growth of Lucky Boys Confusion. The five-piece ska-punk outfit -- Kaustubh Pandav of indian origin(vocals), Adam Krier (co-vocalist, guitar), Ryan Fergus (drums), Jason Shultejann (bass), and Joe Sell (guitar) -- formed in 1997 when Pandav and Krier began writing songs together. The pair drew from punk, rap, and reggae to create an infectious ska-punk sound that combines Pandav's Latin melodies with Krier's Beastie Boys-influenced rap. Recruiting members from their previous bands, Pandav and Krier formed Lucky Boys Confusion and began to perform at house parties and YMCAs in Chicago's Western suburbs. The band's first recorded effort was a four-song EP, What Gets Me High, released on their own Townstyle label in 1997. The Lucky Boys' tales of suburban teen life proved popular and the band followed in 1998 with the full-length Growing Out of It, again released on Townstyle. The 17-track Growing Out of It included the four songs from What Gets Me High, along with new material written almost exclusively by the team of Pandav and Krier. As the Lucky Boys' following grew in Chicago, "Dumb Pop Song," a single from Growing Out of It, found its way into regular rotation on Q101, Chicago's influential alternative rock station. With regular radio play, the band's fan base exploded and suburban house parties gave way to headlining gigs at the House of Blues and the legendary Metro. Fueled by the popularity of "Dumb Pop Song," Growing Out of It went on to sell over 6,000 copies. An EP, The Soapbox Spectacle, was released on Townstyle in March 2000 and the band eventually signed with Elektra Records. Lucky Boys Confusion's major label debut, Throwing the Game, was released in May 2001. Commitment followed three years later. As you've no doubt noticed, we haven't announced our fall tour dates yet. The reason being is that the band, after 9 years playing together, is going on an indefinite hiatus. We basically burned ourselves out after our 9 week tour this summer and most of us are looking forward to being home for awhile and having some sense of normality. 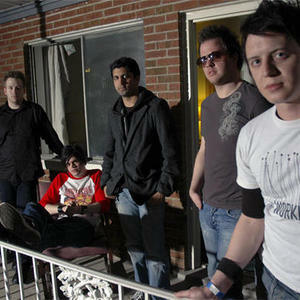 (26-12-'08) At Songs from a Scene, Lucky Boys Confusion announced they will be releasing a new album sometime in 2009 and played one of their new songs "It Should Have Been Me"
In 2009 the band released Closing Arguments, a full-length album mostly comprised of outtakes and demos. In May 2012, guitarist and founding member Joe Sell passed away in Chicago at the age of 33.